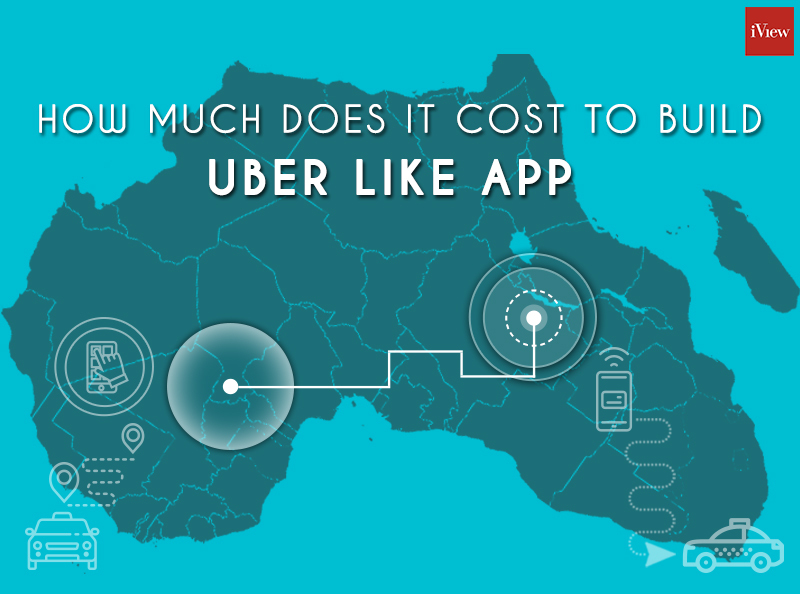 How much does it cost to build an Uber like App? #UberlikeApps are the new trend for the #ondemand economy. Everybody wants to either build #Uberfortaxis, #Uberforfood, #Uberforlaundry etc. But why there is sudden demand for these ON demand apps. Every business today wants to build location based services to deliver convenience to their customers. As per the Mckinsey report, “20 to 25 percent of consumers would pay significant premiums (up to EUR 3, RMB 20, and USD 3 in the respective region) to receive their items on the same day. For building any #Uberlikeapp, we will need 2 different apps and a backend system; both these apps should be available on both the mobile platforms. One app will be for a service provider app and another would be the consumer app. For e.g. If you are building a taxi booking app like UBER, there will be a driver, a rider app linked with backend system for managing trips, bookings, fares drivers etc. It’s a must have feature for geo mapping the providers by which the consumers are able to track the providers real time. Intelligent Matching Algorithm allows you to match the consumer requests to the Right service provider. All the payments need to be secured by integrating different payment modes for accepting payments via credit cards, PayPal or use payment gateway adaptors such as Stripe, Braintree, Paytm etc. Route optimization will help to find the shortest path for the service provider to deliver his service as per the consumer request. Service Management & configuration will be a backend tool to add/update/delete services which will be linked to the app. These will be the business services. Fare calculator will enable you to configure the fare rules and the system will automatically calculate the fare for each service rendered. Reporting and Analytics will help you derive meaningful insights from the day to day transactions which will help you to understand your business performance. Without this your business will be incapable to run. You need to have an accounting system to manage the incomes, provider earnings, pay-outs etc. Service Provider Revenue System will help the service provider to understand his earnings, pay-outs from the platform and get deeper understanding into his transaction history. As per the new data protection compliances for different regions, your app needs to adhere into all these compliance. Back Office System is the core if you want to build an Uber like App. It is an information gathering tool about your customers, service providers which help you to know & manage the daily activities of this business. This is a must module which helps you to communicate with all the stakeholders of the business and create a system level engagement which helps your uber like app to grow. A support system to address customers query. How much an Uber like App cost finally? If you are looking to build a MVP for taxi booking app or for an Uber like apps for you to test the market, then taxi booking app starter package will cost your around ~ 3,500 USD. With this cost, you are able to start and launch your business with 2 apps and understand the market and your business service model. If you are looking for a solution which makes your taxi business, laundry business or food delivery business to have an ON demand solution with all the above mentioned modules then the app cost would range from $20,000 – $40,000USD. What should you expect with enterprise price? Well, this pricing will give you a fair idea about the cost to develop any Uber like apps for any business. Having said this, it is very important to understand each business needs and customization they want to build for their On Demand apps like Uber to derive at a cost of entire solution. Any tech company or solution you choose should be able to scale as per the scale of the business. Lastly, you should choose an app development company who is able to drive your business growth of ON Demand based on their tech solution. We have built Uber for taxis, Uber for laundry, Uber for deliveries etc. We will be happy to hear and serve you!! Previous Previous post: The World is a book and those who do not travel read only one page.